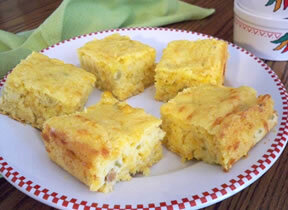 Simple corn bread recipe that will melt in your mouth. Serve them up with honey butter or maple syrup for an even better treat. Preheat oven to 350 degrees F. Spray muffin tin with cooking spray. Mix ingredients together thoroughly. Fill muffin tin 3/4 full. 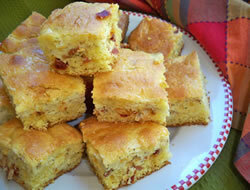 NOTE: These can be baked in a 9x13" pan for 45 minutes. 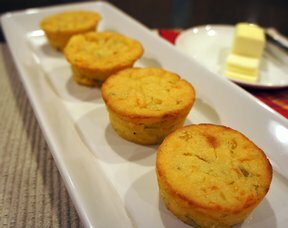 "I love corn bread and these muffins were delicious! Maple syrup and butter were my toppings of choice and it brought me back to elementary school. 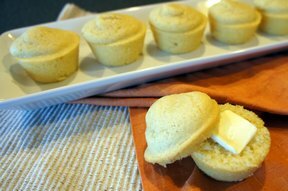 I halved this recipe since I would have eaten all 24 muffins myself!"